Now that was a week of European football. Liverpool finished the job at the Ethiad with a 2-1 victory over Man City, Roma produced a thrilling comeback in the Eternal City to dump Barcelona out of the competition, and Cristiano Ronaldo broke Juventus hearts with a 97th minute penalty after Italy's Old Lady fought back heroically from a 3-0 deficit in the first leg. The comedown is a Premier League double game week. 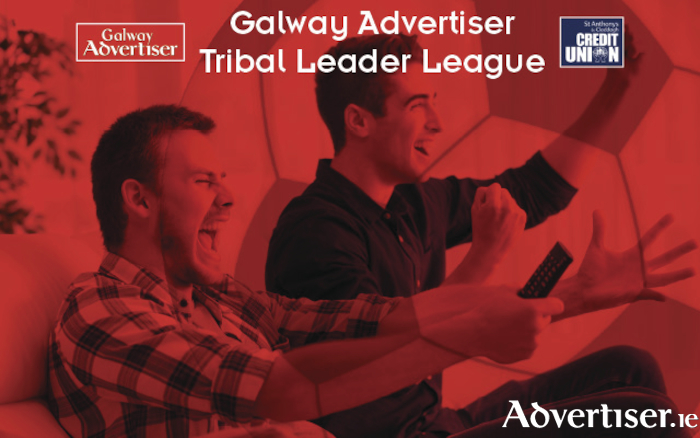 So who should you select to get your team moving in the right direction in the Galway Advertiser Tribal Leader League in association with St Anthony's and Claddagh Credit Union? The best goalkeeper in the world will play two matches this week. Mid-table Bournemouth and bottom of the log West Brom, who have the worst goal scoring record of any team in the league. Unfortunately, there are no more superlatives left to describe de Gea's performances as he produced another stunning match winning save against Man City last Saturday to secure the three points. Simply put; de Gea will keep two clean sheets this week so get him in your team. The Belgian has not been at his brilliant best in recent weeks but it is understandable considering Chelsea's season is coming to meandering stop. But I have a feeling Hazard will come to life this week as the Blues hit the road as they first travel to the south of England to Southampton before the long trek up north to Burnley. Expect Hazard to be back among the goals so make him your captain for double points on this double game week. He may not be in the mood like he was at the start of the season but there have been signs in recent weeks that Lukaku is rediscovering his form. The big Belgian has scored three times in his last five league outings as well as providing two assists. I expect United to hammer lowly West Brom and Bournemouth and I believe that the striker will help himself to a few goals.